Home automation is the residential extension of building automation. It is automation of the home, housework or household activity. Home automation may include centralized control of lighting, HVAC (heating, ventilation and air conditioning), appliances, security locks of gates and doors and other systems, to provide improved convenience, comfort, energy efficiency and security. Home automation for the elderly and disabled can provide increased quality of life for persons who might otherwise require caregivers or institutional care. The popularity of home automation has been increasing greatly in recent years due to much higher affordability and simplicity though smartphone and tablet connectivity. The concept of the "Internet of Things" has tied in closely with the popularization of home automation. 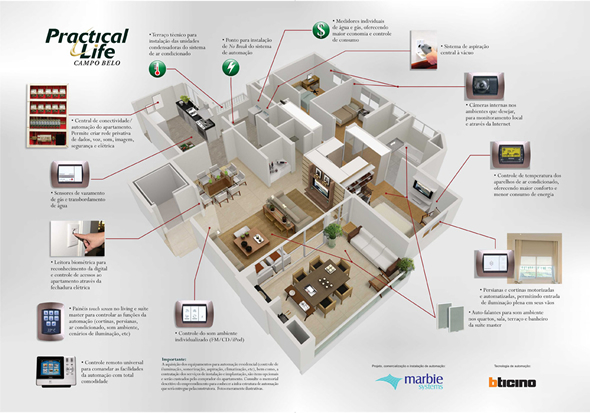 A home automation system integrates electrical devices in a house with each other. 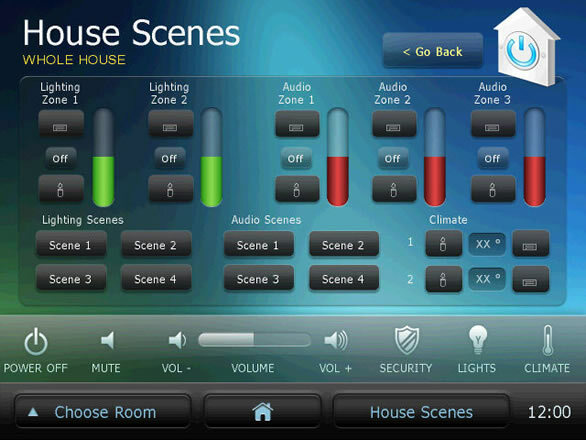 The techniques employed in home automation include those in building automation as well as the control of domestic activities, such as home entertainment systems, houseplant and yard watering, changing the ambiance "scenes" for different events (such as dinners or parties). Devices may be connected through a computer network to allow control by a personal computer, and may allow remote access from the internet. Through the integration of information technologies with the home environment, systems and appliances are able to communicate in an integrated manner which results in convenience, energy efficiency, and safety benefits. MKC designs the system as per customer requirements and specifications, installation and programming of all devices, testing and commissioning with highest standards and safety procedures.